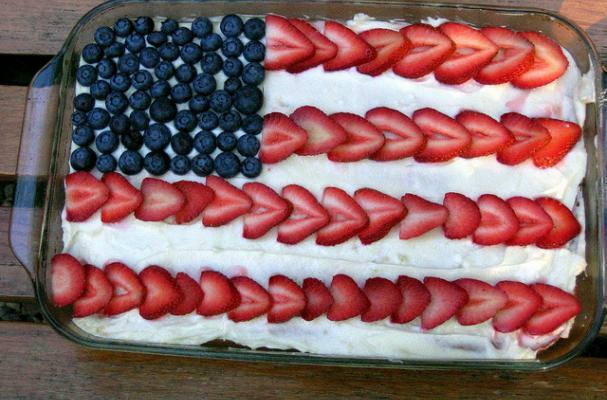 Many patriotic pies and cakes contain food coloring, refined sugar, and generally aren't that healthy. Check out these updated holiday themed desserts which are perfect for those adhering to a paelo, gluten free, vegan, or raw diet. This simple cake uses just a handful of ingredients and is a healthy alternative to overly sweet desserts. To make this even healthier use coconut palm sugar or rapadura, and you can reduce sugar to 3/4 of a cup. This amazingly healthy and decadent pie is a cause for celebration. for those avoiding agave nectar, substitute maple syrup or blackstrap molasses. Celebrate the summer bounty with these ridiculously simple and festive pops.